The Papua New Guinea Hunters are targeting back to back titles after naming their squad for the upcoming Intrust Super Cup rugby league season. Head coach Michael Marum has selected 13 new caps in a fresh-faced 29-man squad, for what will be the Port Moresby based club's sixth Q-Cup campaign. "A lot of these players have been out there waiting for their chance to come in and be part of the Hunters team," he said. 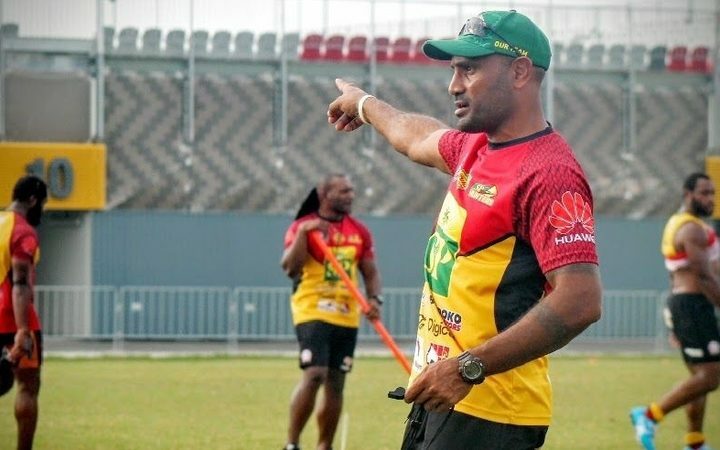 "In PNG it's every players' goal to be in the side so those...players who have come into the squad they've been through a season with their local Digicel Cup clubs. "There's talent there so hopefully we just put together everything between them and the old players and they can play together and win games. "Ase and Watson Boas are among eight of the returning players who also featured in the PNG Kumuls run to the Rugby League World Cup quarter finals. Wellington and Stanton Albert are the highest profile departures, having signed for UK Super League side Widnes Vikings, while former skipper Israel Eliab and Bland Abavu did not report for pre-season training and are understood to be pursuing other options. After winning their maiden title in 2017, Michael Marum said they have set their sights on a repeat performance. "Our main goal this year is to defend the Cup but it's going to be a tough one," he said. "[Other teams] are going to target us so it's going to be a hard start to the season...we've got a home game and two aways straight away. "We just want to make sure we prepare well and train probably we've done a good seven weeks now so heading into that trial game (against the Brisbane Broncos) we're going to see how some new players can turn up and play against those top players in the NRL competition." As well as the new faces in the squad, former captain Adam Korave makes a return after a season in Australia. "He spent a season down there in Ipswich [in Queensland] - he just played local league down there but he obviously went down he was just working on a farm. "It was a good opportunity for him to go and work and earn some money for the family, so I allowed him to go and he's back now. He's one of the experienced forwards in the side now. "The season kicks off in early March with the Hunters first match away to the Ipswich Jets.